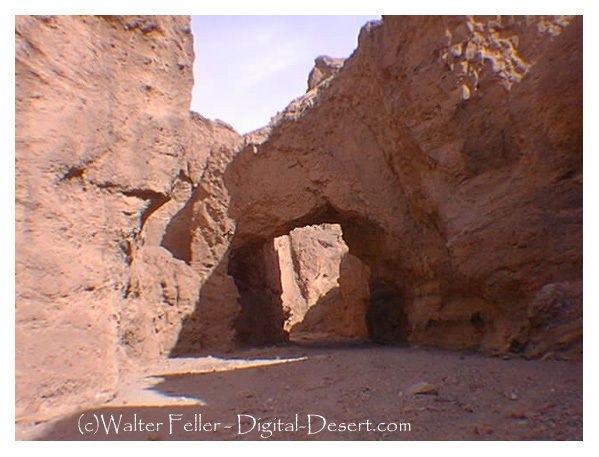 This natural bridge spans 46 feet and was created by flash floods running through the wash. Description : Uphill walk through narrow canyon. Large natural bridge at .5 mile. Trail ends at dry waterfall. Start : Natural Bridge parking area. 1.5 miles off Badwater Road on gravel road, 13.2 miles south of Hwy 190.